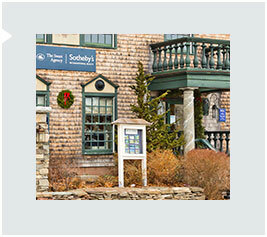 The Bar Harbor office of The Swan Agency Sotheby's International Realty is located in the heart of Bar Harbor, in The Swan Block, next to the US Post Office. 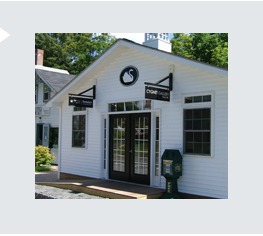 The Bar Harbor office is the original company office and is the market leader in all segments in Bar Harbor real estate. Here talented, experienced brokers specialize in all areas of local real estate on Mount Desert Island and beyond. The company's commercial brokerage is based in Bar Harbor, as well as Maine's Lodging Brokerage, which is Maine's leading brokerage of inns and bed & breakfasts. The "virtual offices" in Mid-Coast and Greater Portland, Maine also have their bricks and mortar bases in Bar Harbor. The Blue Hill office of The Swan Agency Sotheby's International Realty is located in the heart of the village of Blue Hill. The Main Street building was completely renovated to house our presence in Blue Hill and our efforts were applauded by the community as we brightened the Main Streetscape. Our team here are seasoned professionals representing the entire Blue Hill Peninsula and Deer Isle/Stonington region. 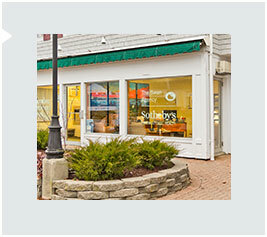 The Northeast Harbor office of The Swan Agency Sotheby's International Realty is ideally located in the heart of the village of Northeast Harbor. The boutique office shares their gorgeous building the The First, NA, our landlord who has added a convenient, attractive branch office to the building. Talented, experienced brokers in the Northeast Harbor office specialize in luxury properties while providing full service brokerage to all Mount Desert Island properties. This branch office is also home to our Summer Rental program, launched in Spring 2015 specializing in fine properties in Northeast Harbor and Seal Harbor.